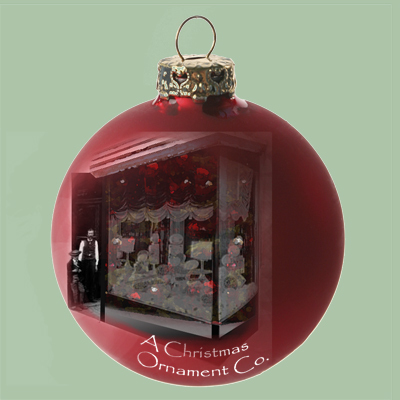 American Christmas Ornament Co. is your one stop for finding unique Holiday Christmas tree ornaments. We showcase ornaments that are educational, as well as conversation pieces. Christmas Ornament collecting is a great way to remember loved ones during the winter holiday season, or for any special event. Many customers display our Christmas ornaments long after the Holiday Season is over. We carry ornament display stands and storage boxes. Below is our current list of ornaments available for purchase. Our catalog includes time-honored Christmas glass, metal, and porcelain collectible ornaments. CLICK HERE for customizable Christmas Ornaments! All of our ornaments are proudly manufactured in the United States. Fund raisers looking to join our Ornament Fund Raising Program should contact us on or before November 8th. Get the 2011 and 2010 Official White House Ornaments in this fantastic gift set. Save time and money when you purchase these two collectibles together. Makes a great gift for someone starting their own collection, now at the lowest price available! Our Christmas Tree Seedling Ornament is the perfect present for everyone in your family. Measuring 18” long, this over-sized ornament holds one Colorado spruce seedling.